This Arts Initiative brings experienced pilots, rope access technicians, artists, musicians and aerial photographers with highly promising young artists to collaborate a one-to-one mentoring relationship. 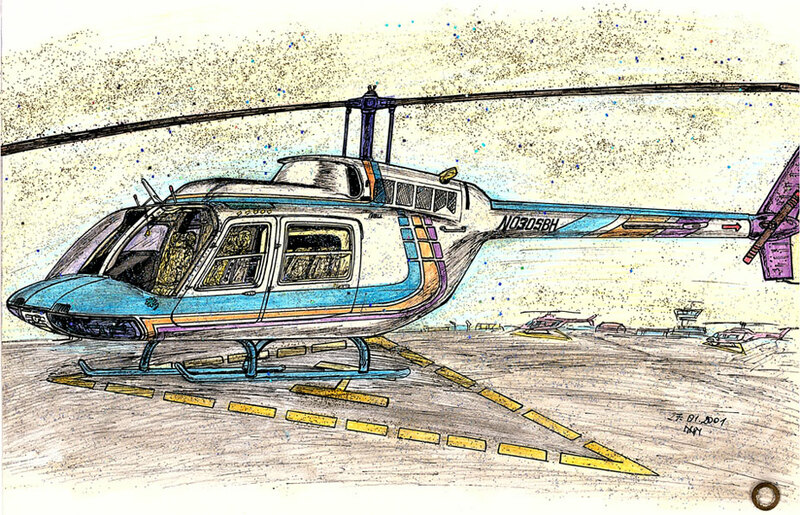 The program will start in Bulgaria and we hope to initiate enriching dialogue between artists of different generations, and cultures, fulfilling its aim to make a significant contribution to the visual presentation of the helicopter industry. This project is initiated by Ivan Kristoff. The first mentors who responded are the Hollywood artist and fashion photographer Lazar Goushev, the artists Nikolay Yanakiev and Asen Milchev, music composer Kiril Milchev and singer Martin Alexandrov from X-Factor. Watch an exhibition or be part of it! Want to see first-hand what happens on our shoots? In the spring of 2017 a filming crew will follow us to make short films for extreme sports. Currently Ivan Kristoff is teaming up with a TV crew to do 15 short (5 min.) episodes for extreme sports. The first segment of the “EXTREME with Ivan Kristoff” series of short films will be an introduction to the world of high adrenalin sports and endeavors. The rest of the episodes will be divided in 3 sections (each with 15 episodes): SEA, AIR and LAND. The first photo shooting will be set over 3 days at the Rila Mountains. The event will take place during Sofia Helishow 2016 and will visualize the surrounding environment of the horizontal progression for the Mid Air Rope acceSs (M.A.R.S.) concept. The idea is to do rope access photo/video shoot and give the visuals to conceptual artists who can portray them in the form of art or conceptual photography. At Dubai Helishow 2014, Ivan Kristoff presented the “Mid Air Rope Access Photography” exhibition to His Highness Sheikh Mansoor bin Mohammed bin Rashid Al Maktoum, who inaugurated the event. On the second day we started the Extreme Shoot Experience at the Meydan Racecourse. The third day ended with a special workshop with young artists and participants who were interviewed as part of the main hour-long show. Our team ended the event in the Sensation White Party at the Maydan Racecourse. WHERE: Near the Institute for Vertical Access operatioNs in Sofia, Bulgaria. You can capture the real Spider-man and follow him vertically – in the air. Be part of the film crew of the real Spiderman, taking part in the amazing adventures, experiences and emotions! Ivan invites you to join him and follow the real Spiderman in his new aerial acrobatics in Bulgaria. Soon he will announce a new photo contest in which every photographer has the opportunity to shoot Spider-man during his stay in Bulgaria. To participate in this project you have contact us. Then you will be informed of upcoming vertical and operations of the Bulgarian Spiderman. For those who want to experiment with photo and video cameras to capture three-dimensional images and video, will have the opportunity to test a new generation of 3D cameras, printers and binoculars. The prize of this competition is the Italian brand scooter GARELLI, as a gift from Ivan Kristoff – the Bulgarian/Canadian Spiderman. The invitation is open to everyone. JURY: A team of our most prominent music artists and photographers will determine the winner in this project. PROJECT: For one day, a team of enthusiastic photographers, video operators and fans of the movie Spider-man, will follow the real life Spiderman in his vertical world. AWARD: Limited edition scooter GARELLI. PURPOSE: To some, the goal will be to discover a new world of photography at new heights. For others, it will be to enter a new area of ​​audio and visual arts. Soon, Ivan Kristoff will introduce you to the real Spider-mans in a series of upcoming events. One of them is during the showcasing of the new Spider-man IV film “The Amazing Spiderman”. This movie was filmed on 3D and IMAX, it has a more serious theme and it is targeted towards a larger age of audience. As the Canadian and international media calls Ivan the Canadian Spiderman, we can show you the real Spiderman in action. The Canadian Spiderman has the unique experience with the mayor of Toronto, Canada, for a Charity Golf Tournament. There the Spider-man outfit was supposed to be purchased from Sony Pictures and licensed for Special Events by Marvel Enterprises Inc., as recognition for his contribution to the world of rescue.